Hey, Apple! What happened to ‘It just works’? Those three words are synonymous with Apple. It’s the slogan Apple fanboys use when trying to convince their Android-loving friends that iOS is a better option. And it was used over and over by Steve Jobs as he unveiled new products at Apple keynotes. That makes it even more embarrassing for the Cupertino company when things don’t “just work.” Especially when it royally screws things up — as it did with the hideously half-baked iOS 8.0.1 update that rolled out to millions of users Wednesday morning. Apple has promised to roll out a new iOS 8 update in the “next few days” that will fix the issues plaguing iPhone 6 and iPhone 6 Plus users who updated to iOS 8.0.1. In the meantime, users are being advised to downgrade to the initial iOS 8 release that came pre-installed on their devices. Download iOS 8.0.1 now. Photo: Killian Bell/Cult of Mac. 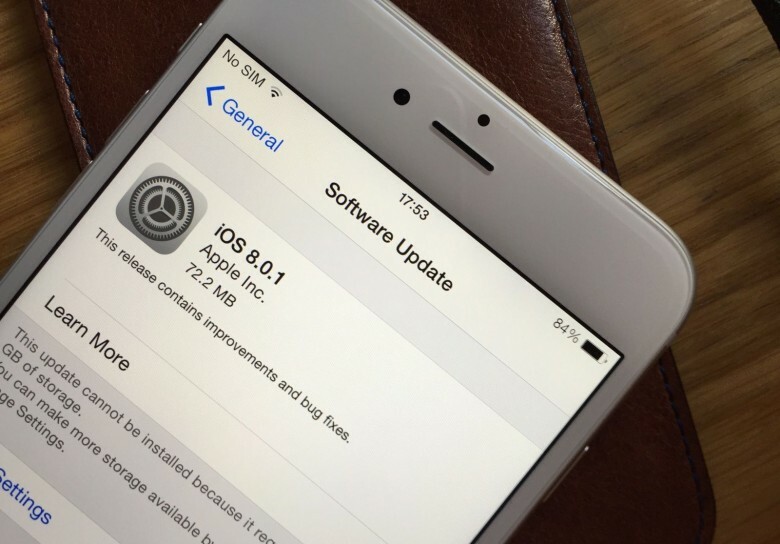 Update: iOS 8.0.1 upgraders are reporting problems with Touch ID and cellular connectivity after installing Apple’s update. You should wait before taking the plunge. If you’ve already installed iOS 8.0.1, here’s how to downgrade to iOS 8. 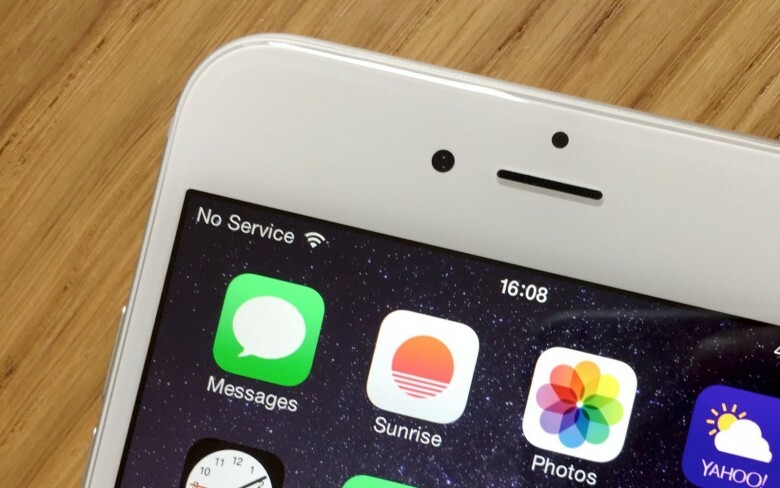 Apple has pulled an iOS 8.0.1 update that fixed problems with HealthKit and various other features after iPhone 6 and 6 Plus users discovered the update broke Touch ID and blocked cellular connectivity. The iOS 8.0.1 update was also supposed to improve Reachability on the iPhone 6, but it has already been removed while Apple addresses the nest of new bugs it unleashed.